The marathon World Record was crushed by Kenya’s Dennis Kimetto on Sunday at the Berlin Marathon where Dennis ran a 2:02:57 becoming the first human to ever break 2 hours and 3 minutes for 26.2 miles. Kimetto took 26 seconds off the World Record that was set at last year’s Berlin Marathon by fellow countryman Wilson Kipsang. Kimetto’s the best marathoner in the world having won three of the world’s six major marathons in the past year. He kicked it up a notch to leave Emmanuel Mutai in his wake with less than 5 kilometers to go. Mutai’s second place finish broke the previous World Record as well. Mutai finished in 2:03:13. Ethiopia’s Abera Kuma took third in 2:05:56. 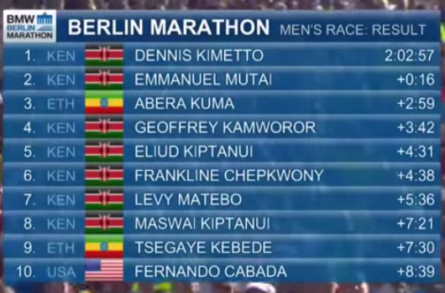 Kimetto ran a negative split, running the second half of the race 33 seconds than the first half. 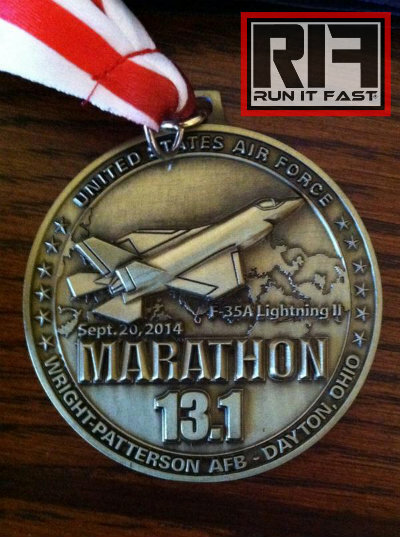 His WR pace for 26.2 miles was an astonishing 4 minutes and 41 seconds per mile. Kimetto plans to run next in the New York City Marathon in just a few weeks. 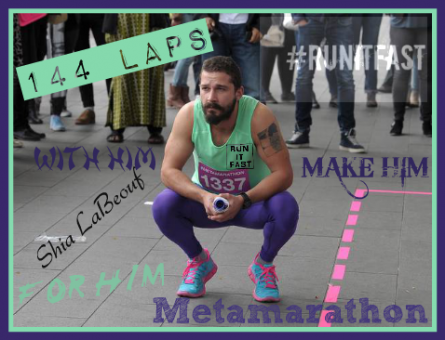 Actor Shia Labeouf, known of late for his erratic off-screen behavior, ran what he dubbed a ‘#Metamarathon‘ over the weekend in Amsterdam (while wearing “day-glo spandex” or “violet and green lyca” depending upon the source). The ‘Metamarathon’ consisted of Labeouf running 144 times around the Stedelijk museum in Amsterdam. No word yet on how far it actually is around the museum. Hendrik Folkerts, the Stedelijk museum’s public curator, explained toAFP that he was hosting a conference about how the world would be perceived by children of the Eighties if they were similarly absorbed by social media and the cult of the celebrity. 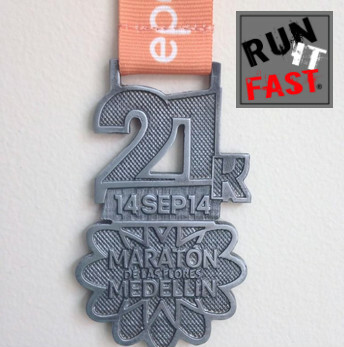 However, not so fast my friends! 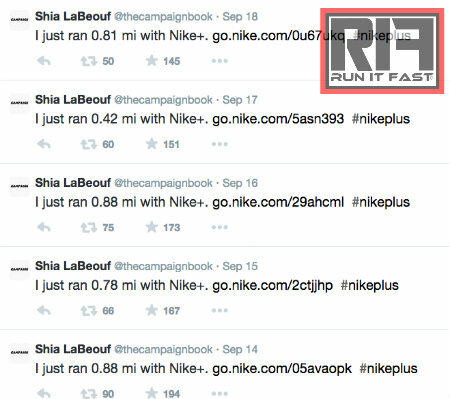 Although Shia’s Nike+ travelled 26.8 miles, it appears according to the museum’s Twitter feed that spectators could watch Shia run, run with him, or run FOR him, hmmmm! In all seriousness, Shia got many people out there to be physically active in running a lap with him or for him. And that’s a great thing to espouse to help inspire others to take up a healthier lifestyle. PS: Remember to tell the next person that asks about your jogging that you are a performer not a jogger. 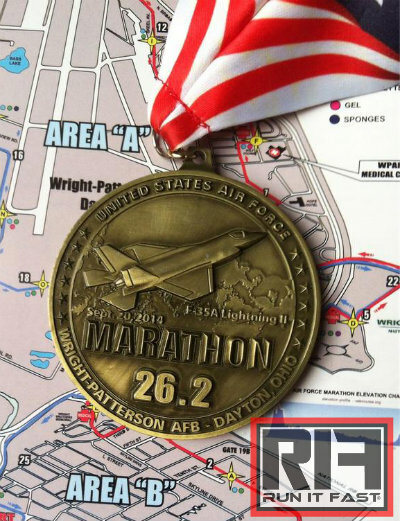 Here are the finisher’s medals from the Air Force Marathon & Half Marathon that took place on September 20, 2014 in Dayton, Ohio. 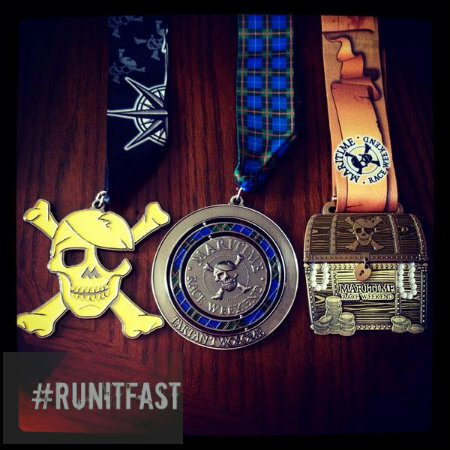 Here is the unique finisher’s medal from the The Barkley Fall Classic that took place on September 20, 2014 in Wartburg, Tennessee, at Frozen Head State Park. 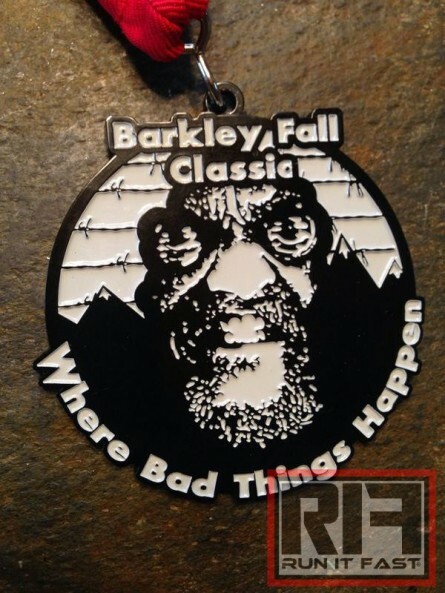 An image of Barkley/Vol State 500K/Back Yard Ultra creator Lazarus Lake aka Gary Cantrell adorns the center of this medal, with the phrase ‘Where Bad Things Happen’ underneath his face, along with the name of the race at the top of the medal. This was the inaugural running of The Barkley Fall Classic which takes place on the same gnarly and nasty trails that the infamous Barkley Marathons (100 Miler) takes place on in the Spring. 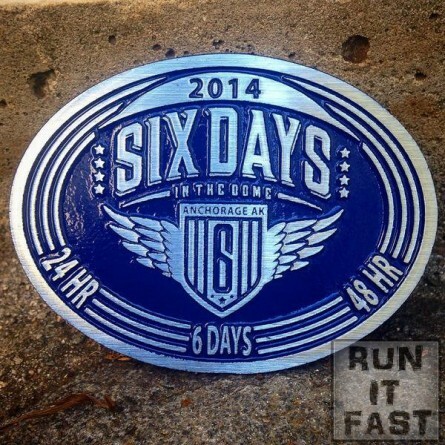 The BFC was advertised as a 50K but almost every runner said it was closer to 35 or 36 miles. 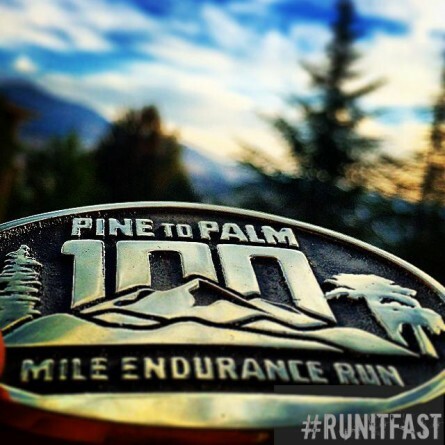 The course included over 10,000 feet of climbing and over 10,000 feet of descent as well. 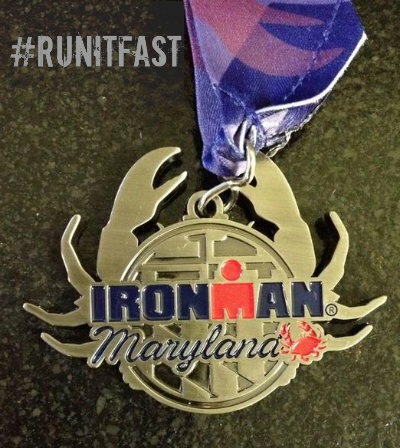 Here is the finisher’s medal from the Ironman Maryland that took place on September 21, 2014 in Cambridge, Maryland. 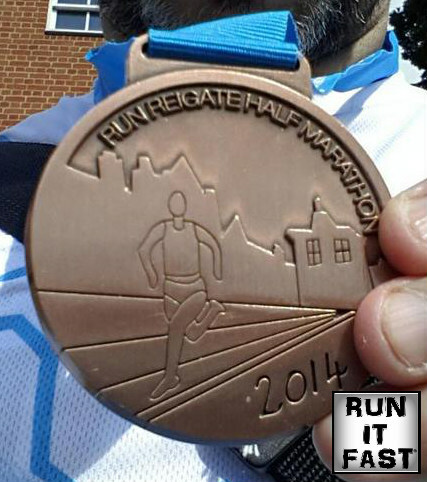 Here is the finisher’s medal from the Reigate Half Marathon that took place on September 21, 2014 in Reigate, England (United Kingdom). 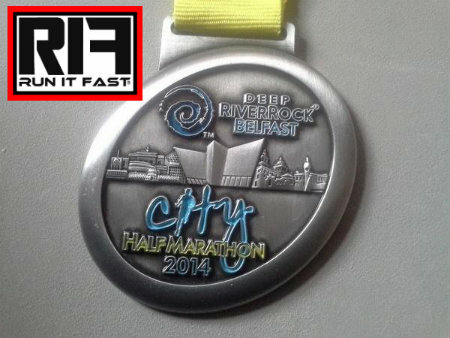 This medal was designed by 9th grade student Izzy Wood from Reigate Grammar school. 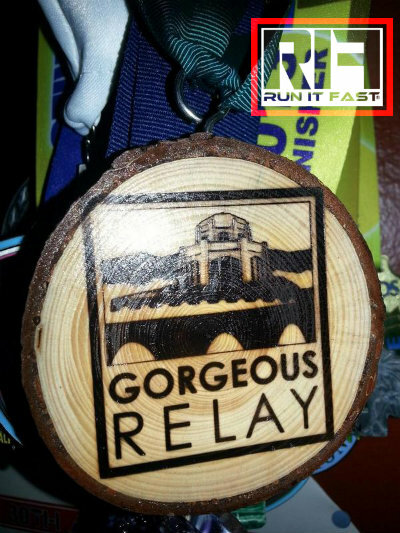 Here is the finisher’s wood from the Gorgeous Relay that took place on September 21, 2014 finishing in Portland, Oregon. 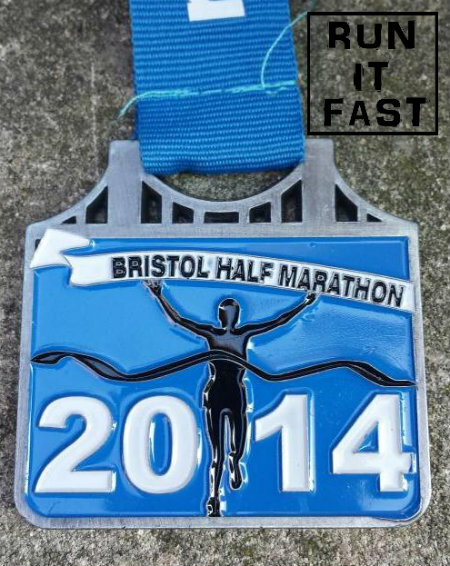 Here is the finisher’s medal from the Bristol Half Marathon that took place on September 21, 2014 in Bristol, West England. 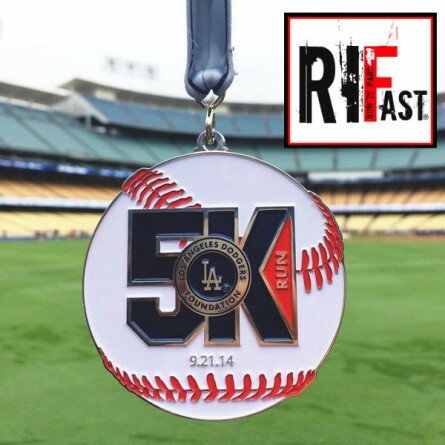 Here is the finisher’s medal from the inaugural Los Angeles Dodgers Foundation 5K that took place on September 21, 2014 in Los Angeles, California at Dodger Stadium.